Here is the Las Vegas Review-Journal’s 2018 all-state boys track and field team. 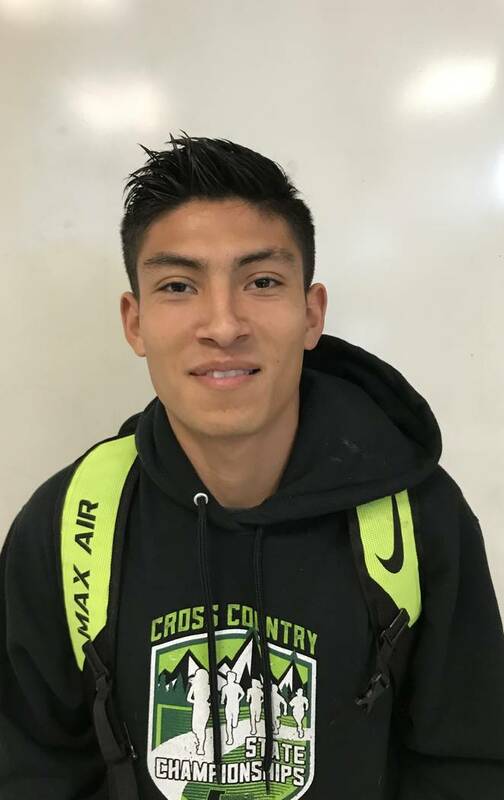 Silverado's Omar Aguilar-Espinoza is a member of the Las Vegas Review-Journal's all-state track and field team. Coronado's Keaton Daniel is a member of the Las Vegas Review-Journal's all-state track and field team. 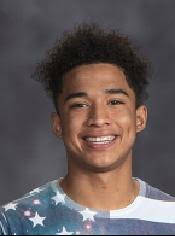 Centennial's Tre Harley is a member of the Las Vegas Review-Journal's all-state track and field team. 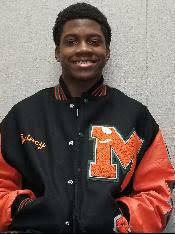 Mojave's John Harper is a member of the Las Vegas Review-Journal's all-state track and field team. 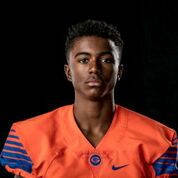 Bishop Gorman's Kyu Kelly is a member of the Las Vegas Review-Journal's all-state track and field team. 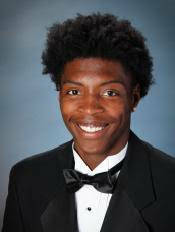 Liberty's Corey Moore is a member of the Las Vegas Review-Journal's all-state track and field team. 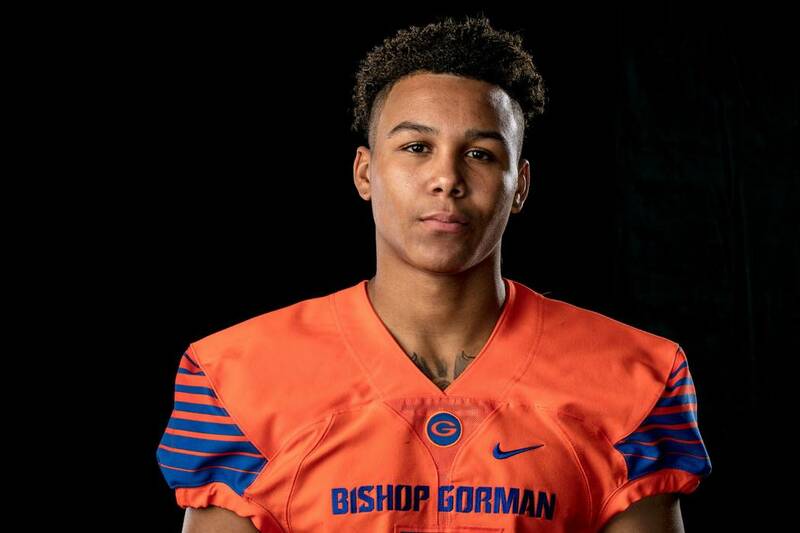 Bishop Gorman's Jalen Nailor is a member of the Las Vegas Review-Journal's all-state boys track and field team. 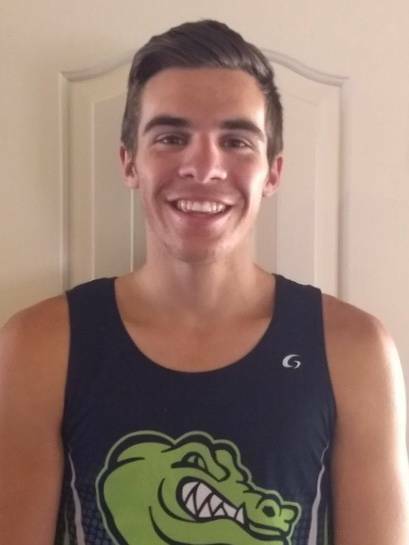 Green Valley's Martin Nelson is a member of the Las Vegas Review-Journal's all-state track and field team. 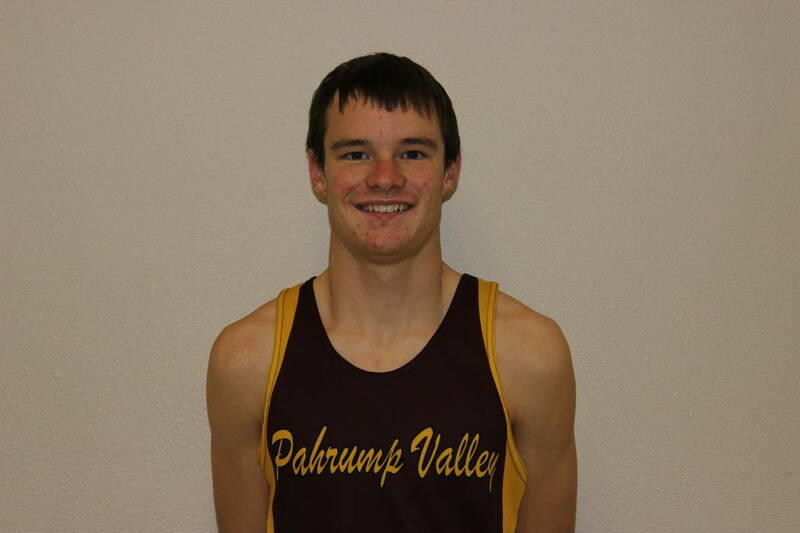 Pahrump Valley's Bryce Odegard is a member of the Las Vegas Review-Journal's all-state track and field team. 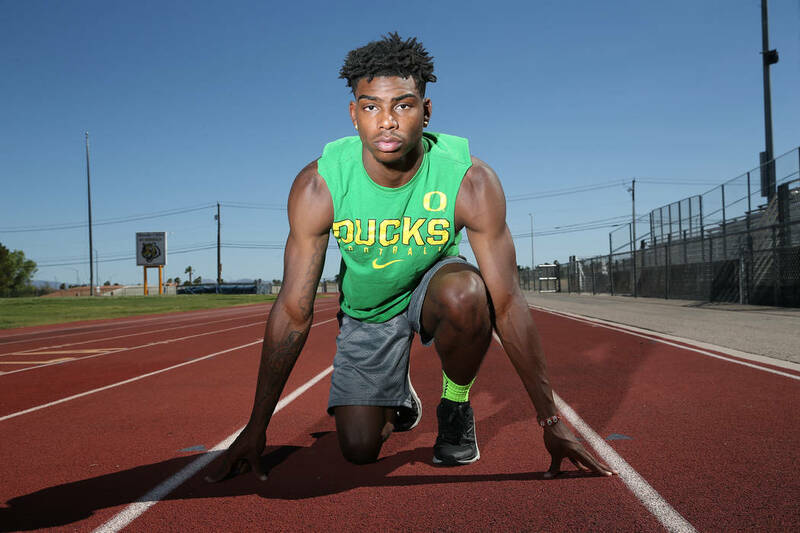 Mojave's Quincy Smith is a member of the Las Vegas Review-Journal's all-state track and field team. 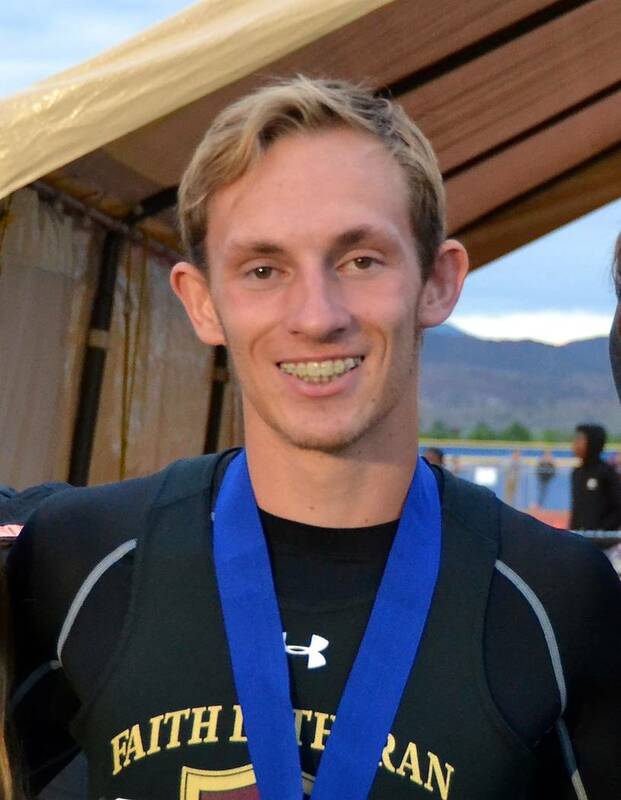 Faith Lutheran's Sever Stewart is a member of the Las Vegas Review-Journal's all-state track and field team. 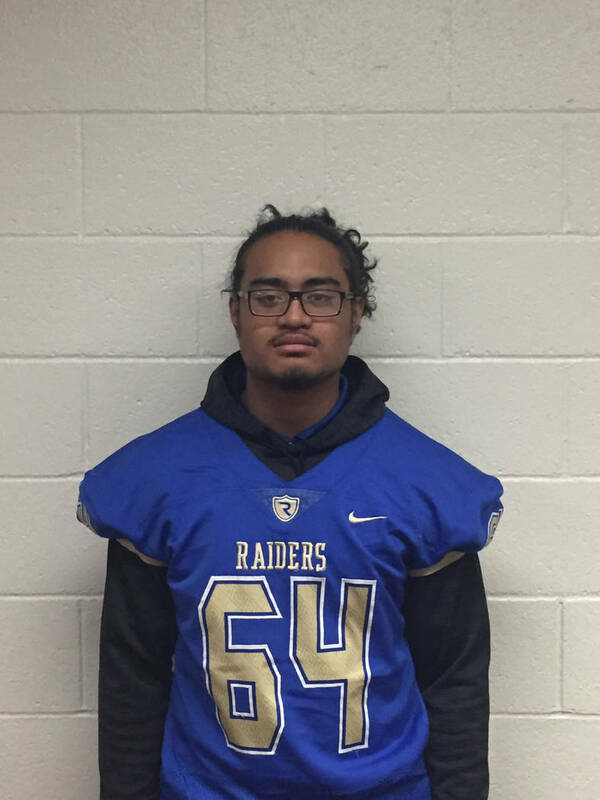 Reed's Vehekite Afu is a member of the Las Vegas Review-Journal's all-state boys track and field team. 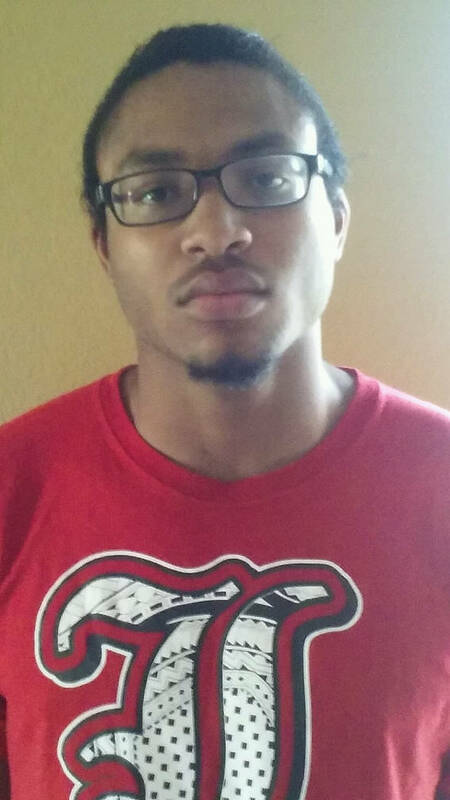 Coronado's Edward Andrews is a member of the Las Vegas Review-Journal's all-state boys track and field team. 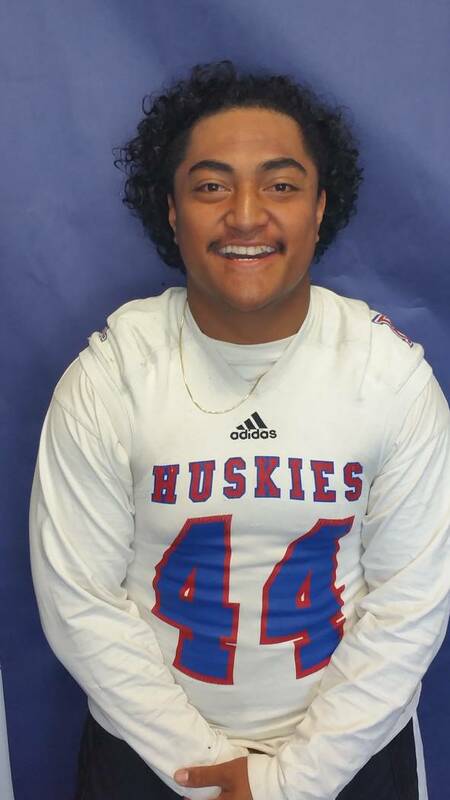 Reno's Siaosi Finau is a member of the Las Vegas Review-Journal's all-state boys track and field team. 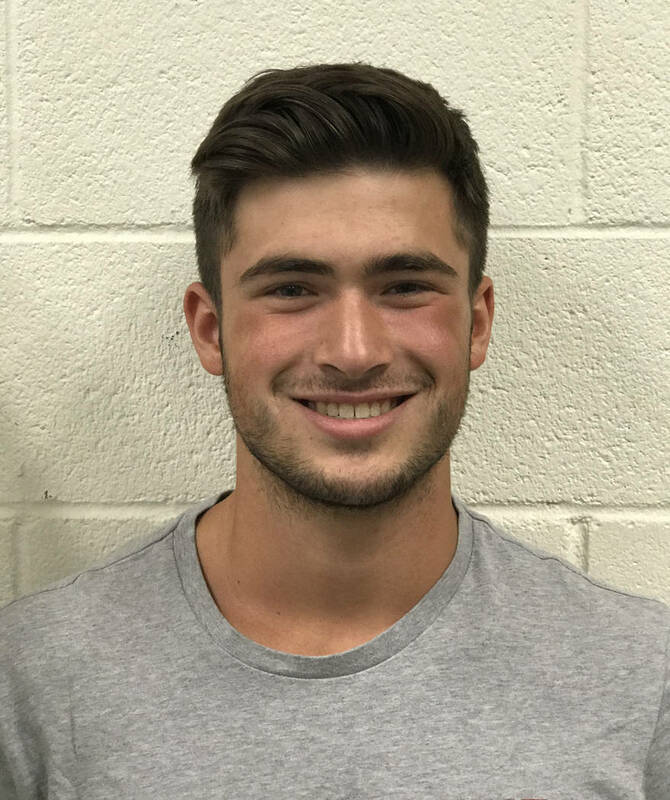 Bonanza's Joey Fox is a member of the Las Vegas Review-Journal's all-state boys track and field team. The senior won the 3,200-meter run at the Class 4A state meet with a time of 9 minutes, 39.64 seconds. 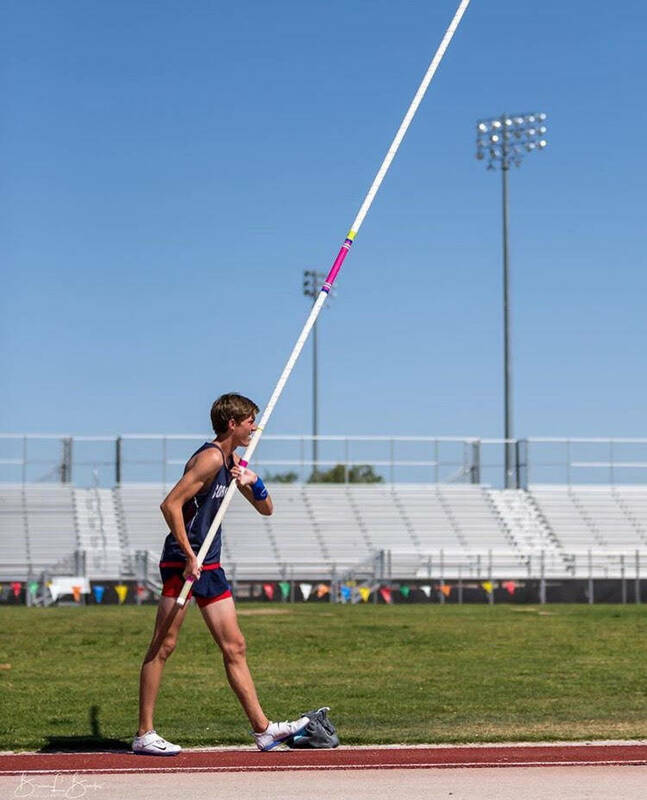 The junior cleared 15-0 to win the Class 4A state pole vault title. The senior won the 110 hurdles at the Class 4A state meet in 14.51. The senior won the 400 at the Class 4A state meet in 48.16. He also placed third in the 200. The senior cleared 6 feet, 6 inches to capture the Class 3A state high jump title. He had the state’s best mark, clearing 6-10 earlier in the season. The junior won the long jump with a mark of 2-9 inches. He also was second in the 200, third in the 100 and ran on the winning 400 relay team to help the Gaels win the class 4A state title. The junior set a stadium record on the discus at the Class 4A state meet, winning the event with a throw of 189-7. The senior won four events at the Class 4A state championship. Nailor took the 100 in 10.7 seconds and the 200 in 21.57. He also ran on the winning 400 and 800 relay teams, helping the Gaels capture their first boys state track title. The senior won the 800 at the Class 4A state meet with a time of 1:56.26. The senior won the 800 in 1:57.69 and the 1,600 in 4:29.61 at the Class 3A state meet. His 1,600 time was better than the winner in the 4A meet. The senior won the Class 3A state triple jump title with a leap of 46-3¼, the top mark in any class at state. The junior won the 300 hurdles at the Class 4A state meet in 39.52. The senior was second in the shot put and discus at the Class 4A state meet. The senior was second in the pole vault at the Class 4A state meet with a height of 15-0. The senior cleared 14-9 to finish third in the pole vault at the Class 4A state meet. He was the Northern Region champion in the event. The sophomore was second in the 400 at the Class 4A state meet, and also ran on the 800 relay team that placed third. He was first in both events at the Sunrise Region meet. The senior won the Class 4A state shot put title with a throw of 55-10. The senior was second in the 100 at the Class 4A state meet, finishing a hundredth of a second behind the winner. He was the Sunset Region champ in the 100. The senior won the long jump with a mark of 21-5 at the Class 3A state meet. He also ran on the winning 400 and 800 relay teams. The 800 relay set a meet record of 1:28.87. The sophomore won the triple jump with a mark of 45-5 for the Class 4A state team champs. The senior won the Northern Region titles in the 110 and 300 hurdles. He was second at the Class 4A state meet in the 110 hurdles. The junior won the 1,600 in 4:32.13 at the Class 4A state meet. He also placed second in the 3,200. The junior won the 3,200 wheelchair race at the Class 4A state meet with a time of 8:51.31. He posted the state’s fastest times in the 3,200 during the season. The senior cleared 6-5 to win the high jump at the Class 4A state meet. He also ran on the winning 1,600 relay team. Cooley, who took over the program in 2011, guided the Gaels to the first boys track championship in the school’s 54-year history.